Realising there was a shortage of tasty freshly baked alternative cakes i devised a range that I would not only be pleased to eat myself but proud to offer my friends and family as well as the wider community. Blueberry loaf - This scrumptious blueberry loaf combines the wonderful fresh and sweet taste of the blueberry complimented by the lemon icing with a substantial crumbly silky cake. Sticky toffee pudding tray bake - No longer is there a need to deprive yourself of delicious dessert when you can indulge in my glorious sticky toffee pudding tray bake. Pecan Pie - your particular favourite? Go fully gluten free with this nutty delight. Rhubarb and custard gateaux - Using tried and trusted recipes handed down from generations of bakers adapting many of them to a vegan palette has provided an interesting challenge and an interesting range of tasty delights such as this wonderful rhubarb and custard gateaux. Chocolate brownies - Who doesn't love chocolate? You will adore these vegan chocolate brownies that melt in your mouth. Snickerdoodle biscuits - Don't be fooled by my Snickerdoodle biscuits, no snicker bar in sight, just spicy cinnamon treats. Red velvet meringue - Is a new addition to my range. developing on from vegan it was just one step more to create this wonderful red velvet meringue. Strawberry muffin - Fruity and fresh the strawberry muffin is great to grace any afternoon tea party platter. Cranberry and orange cupcakes - add to the symphony of light individual scrumptiousness. 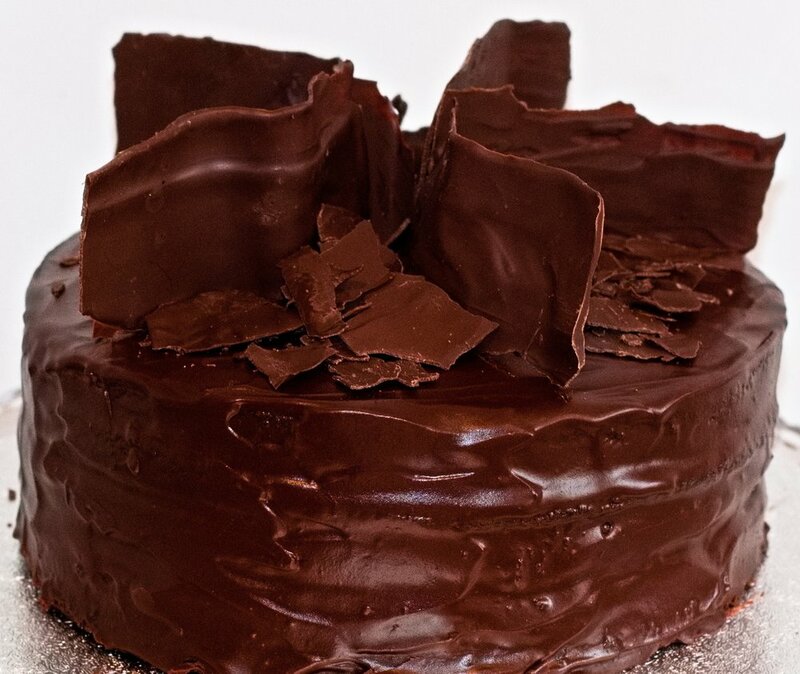 Chocolate explosion - Of course if you have no particular preference you can enjoy the indulgent chocolate explosion that you get from the quadruple layered sponge and ganache. Cheesecake - Everyone's favourite, the classic cheesecake but mine comes with a special twist of mouthfuls of taste explosions. White chocolate and fudge cookies - Experience cookie heaven with chunky white chocolate and fudge cookies so good they should be illegal.